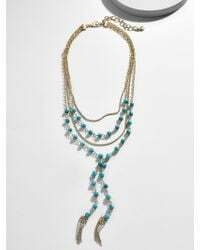 We check over 450 stores daily and we last saw this product for $36 at BaubleBar. 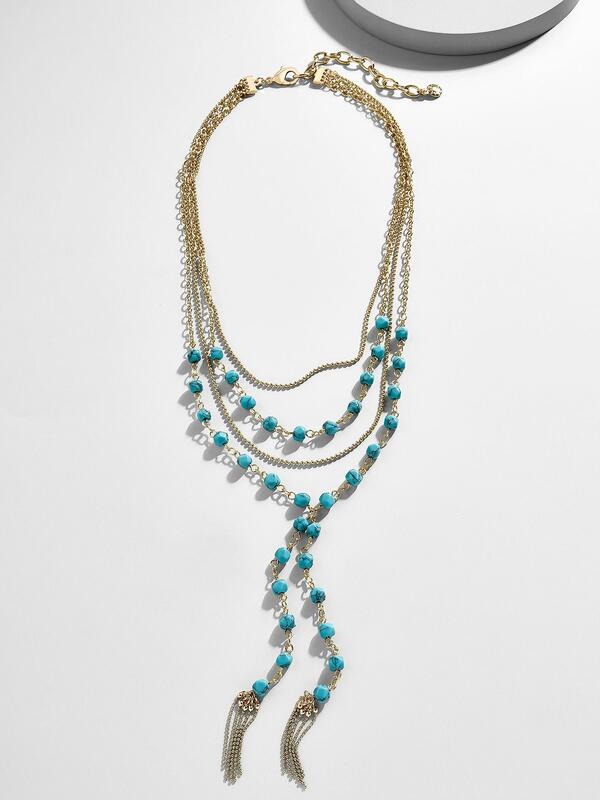 Featuring turquoise beads and gold chain links, this layered Y-chain necklace makes an exceptional styling companion for every deep neckline in your wardrobe - trust us. Each stone is unique so colour may vary. Brass and zinc casting, reconstituted turquoise stones. Shiny gold plating. Lobster clasp. Hypoallergenic. Length: top layer: 16"; second layer: 17.50"; third layer: 18"; bottom layer: 19.50"; 4" drop; 3" extender.